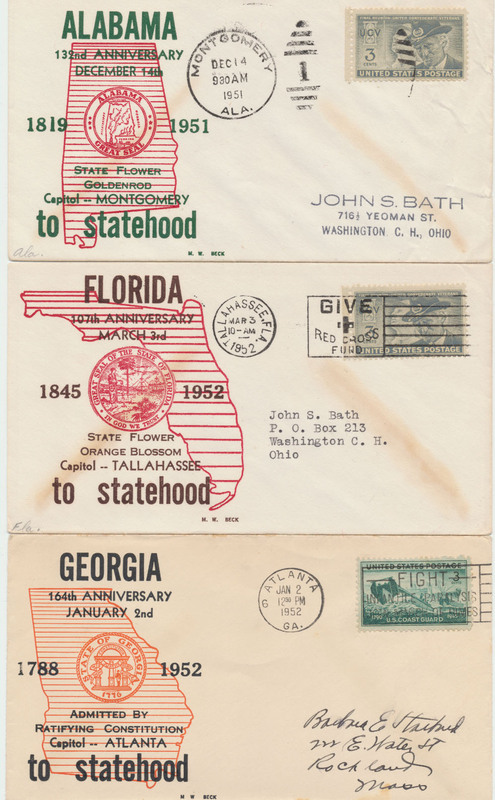 Morris W. Beck produced two different series of covers honoring the states and territories. These covers were produced for collectors that sent in their envelopes. 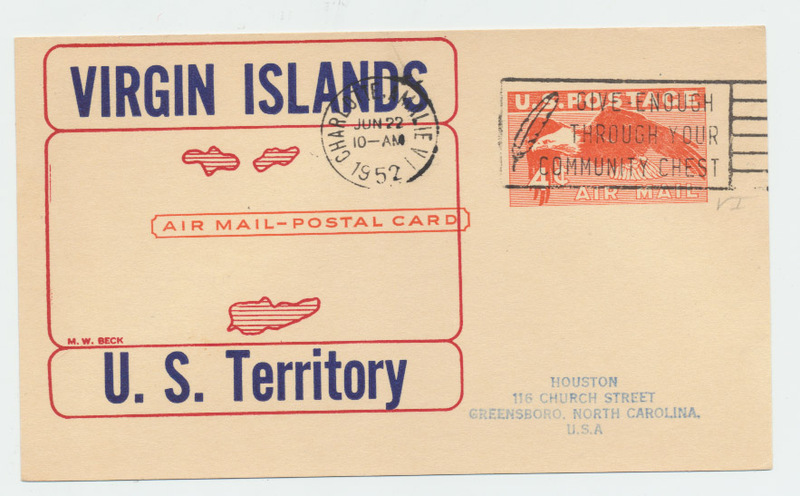 It was a similar service to his other series such as Presidents and Naval event covers. These covers are hard to find especially in a complete set. 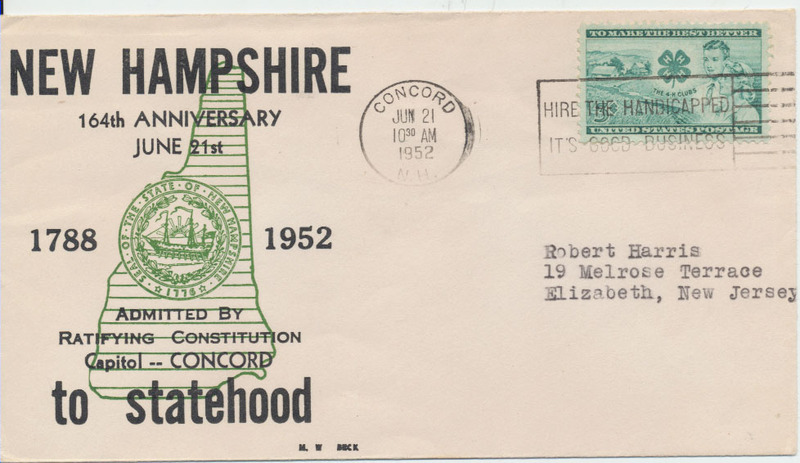 A complete set of the 1951-2 or 1956-7 series sells for about $250-300 each and the full sets are rarely found. 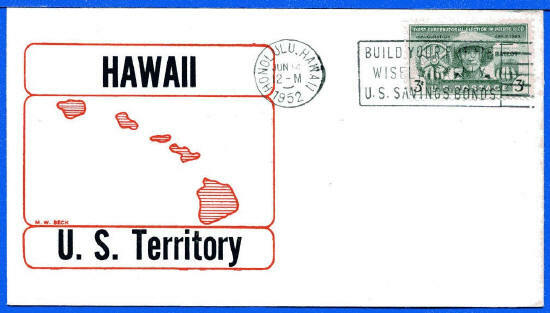 short supply given the demand. 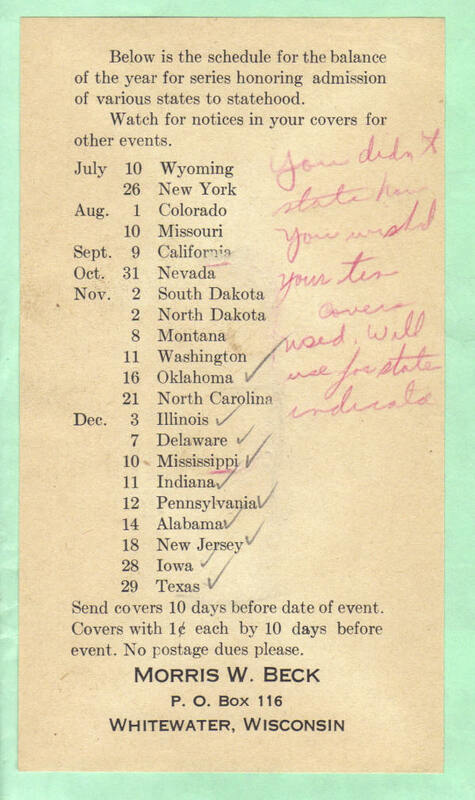 We suggest you find them while you still can. 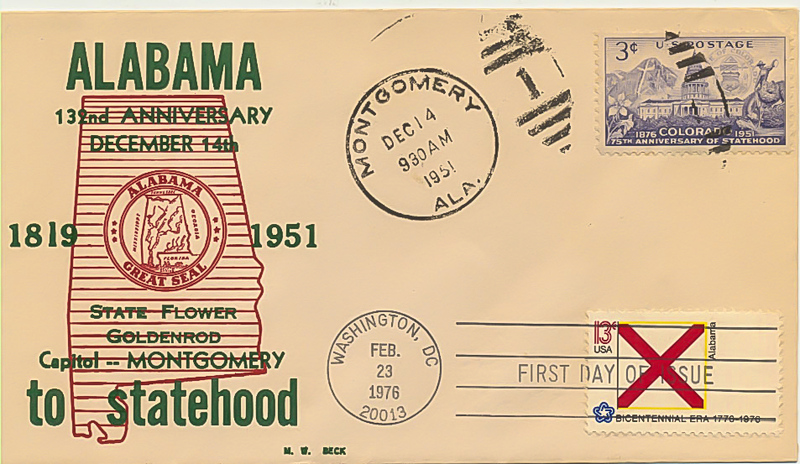 series printed on postcards instead of envelopes. An interesting variety from the 1951-52 Beck state anniversaries is shown above. 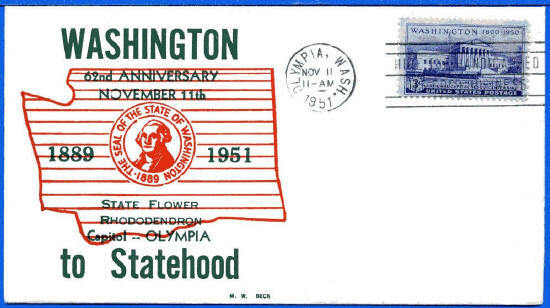 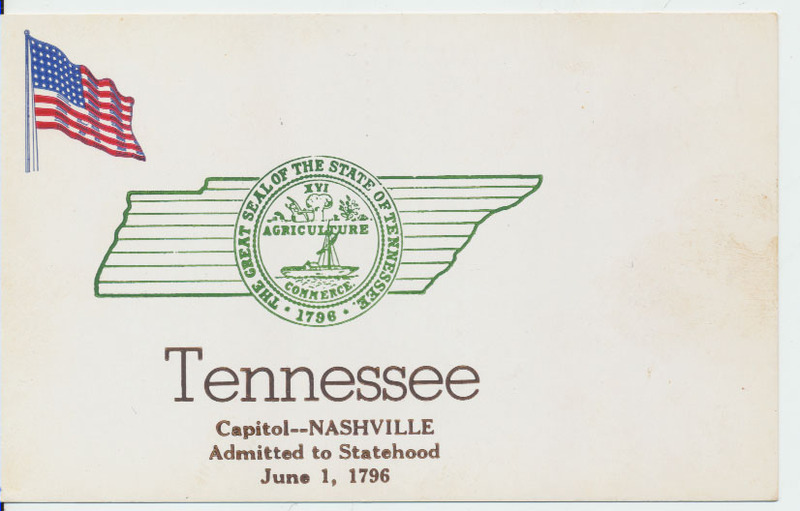 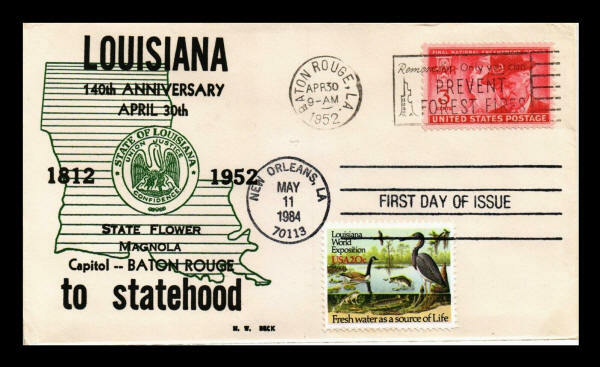 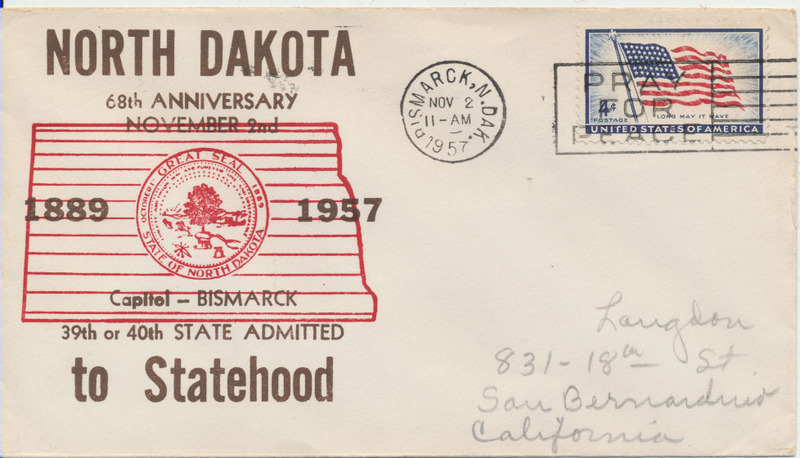 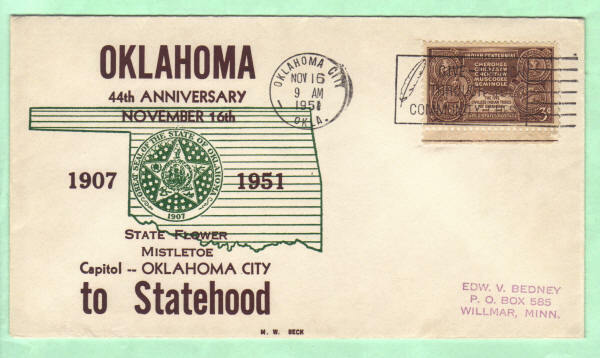 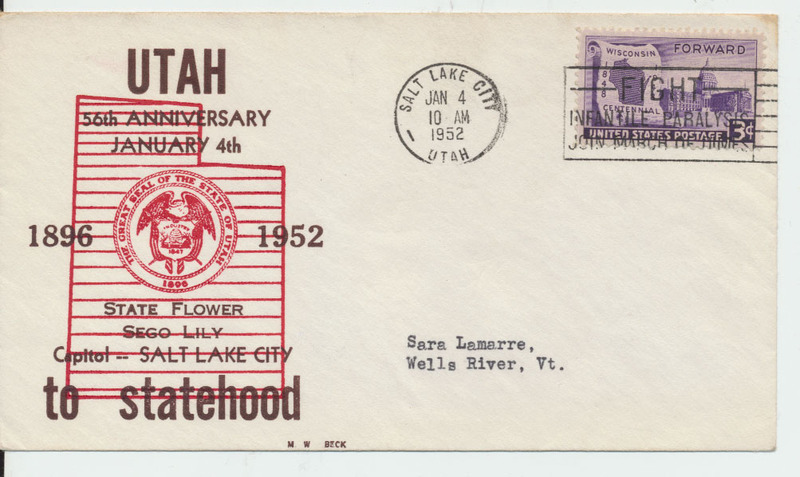 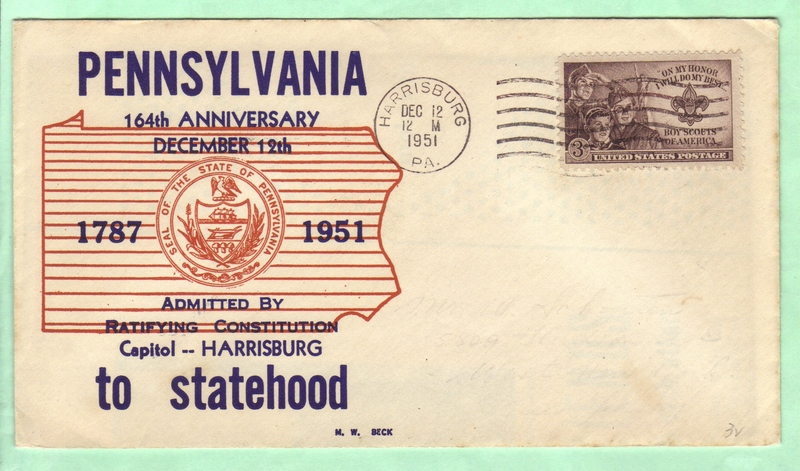 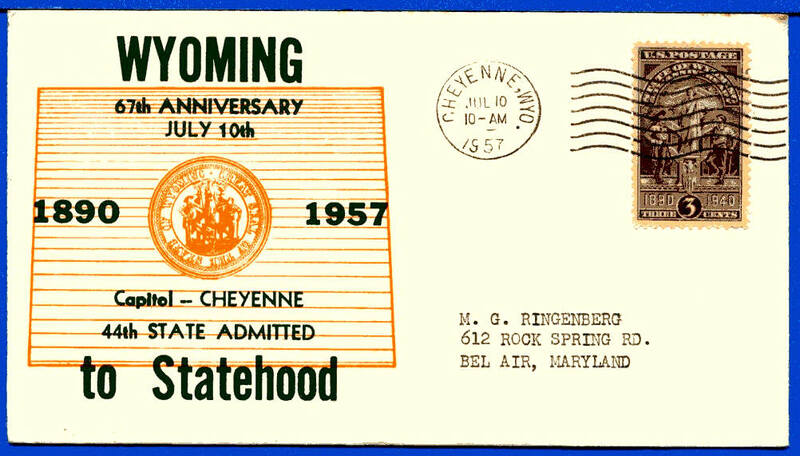 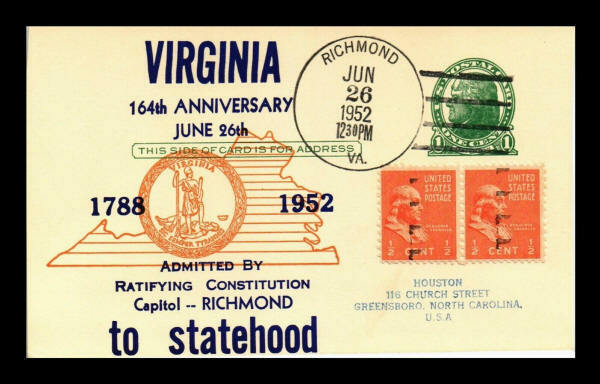 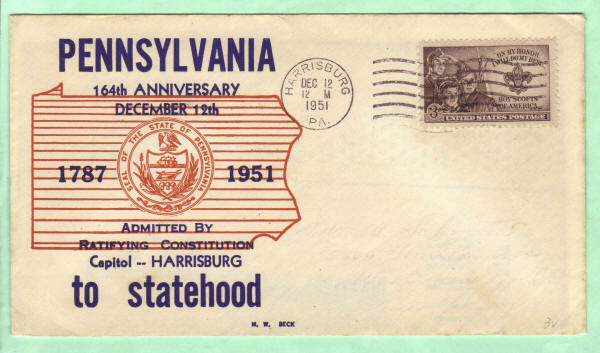 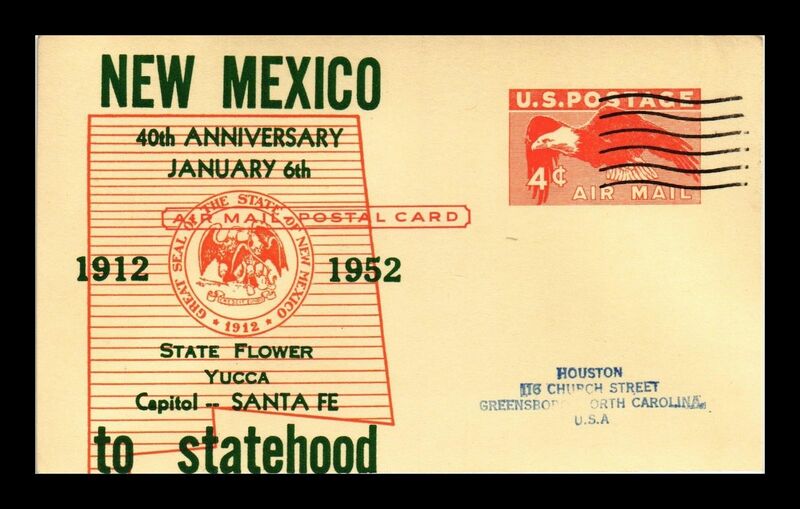 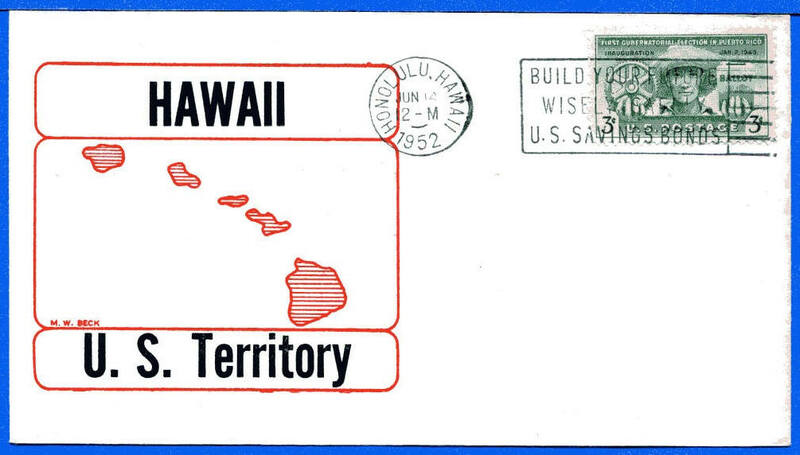 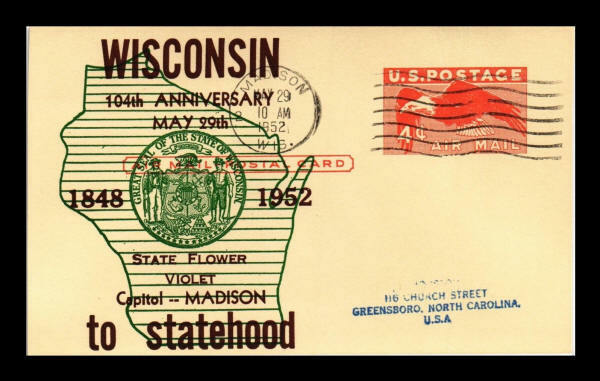 A collector used the 1951 cover for a dual cancel for the 1976 state flags issue. 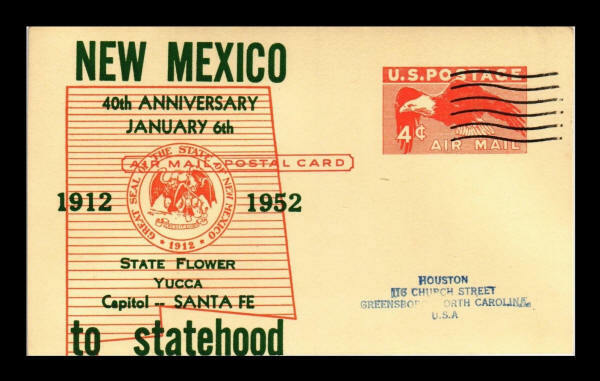 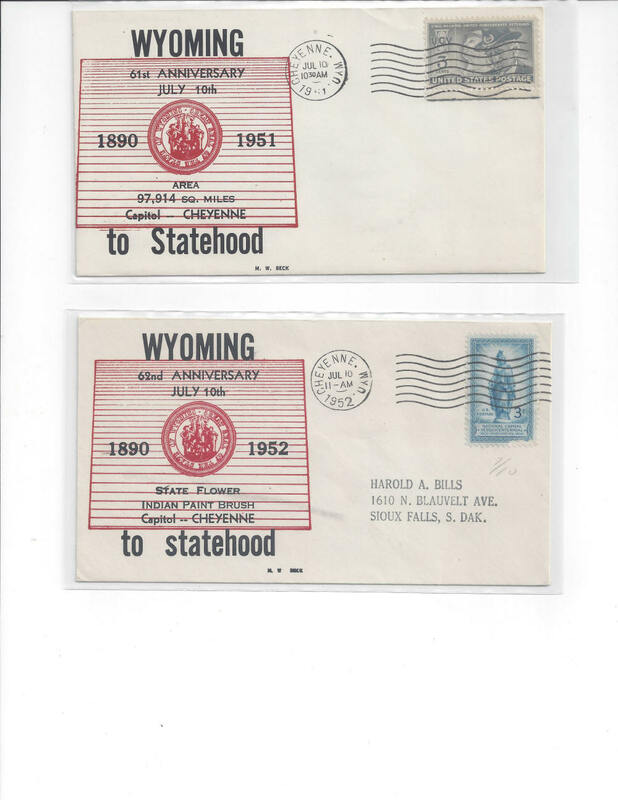 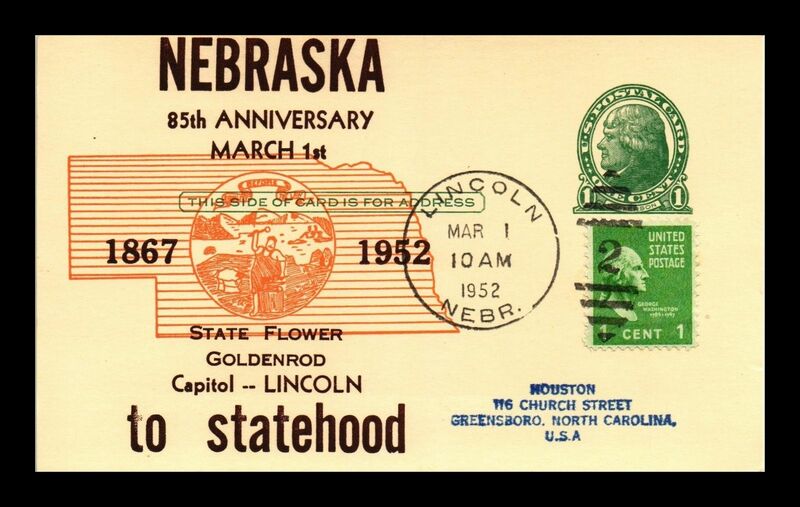 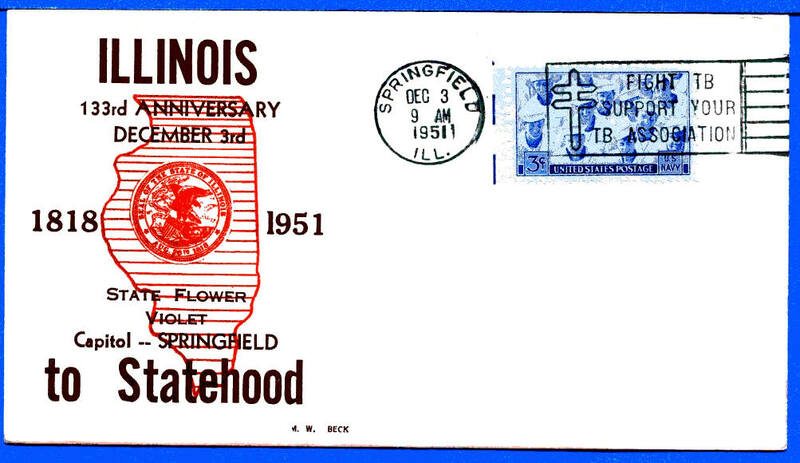 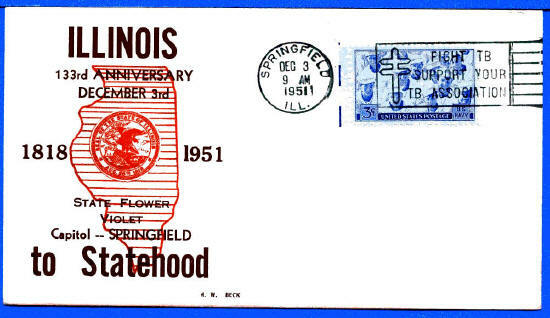 Statehood covers from 1951 and 1952 with two different cachets. 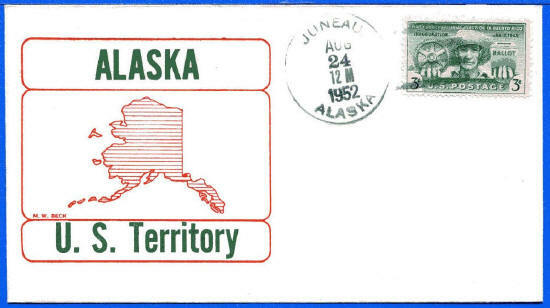 Above: another example of the Alaska cover. 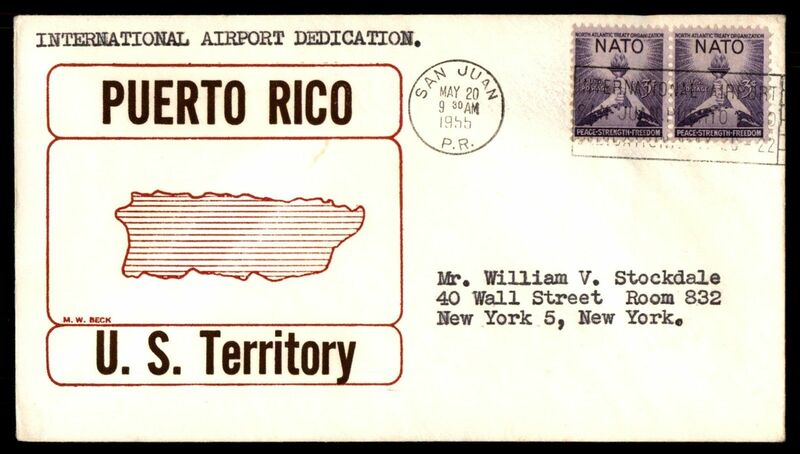 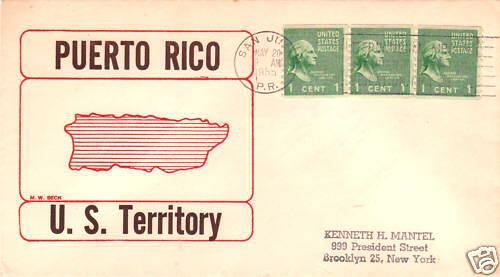 1955 dated Beck cover for Puerto Rico with "states" cachet. 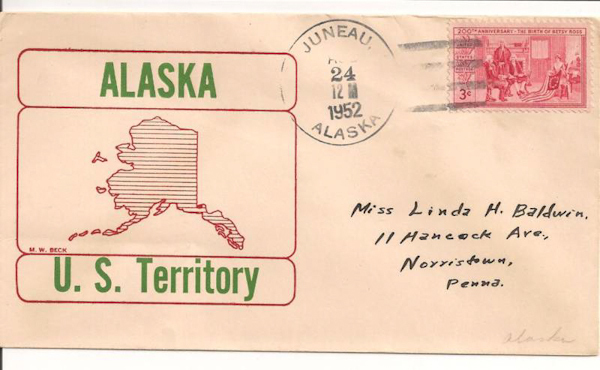 two days later, May 22, 1955. 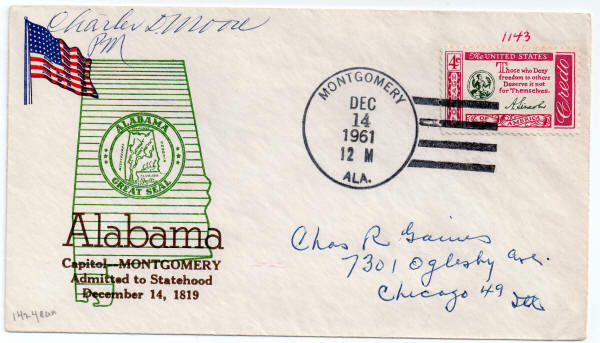 Scan on eBay and courtesy of C. Hamilton. 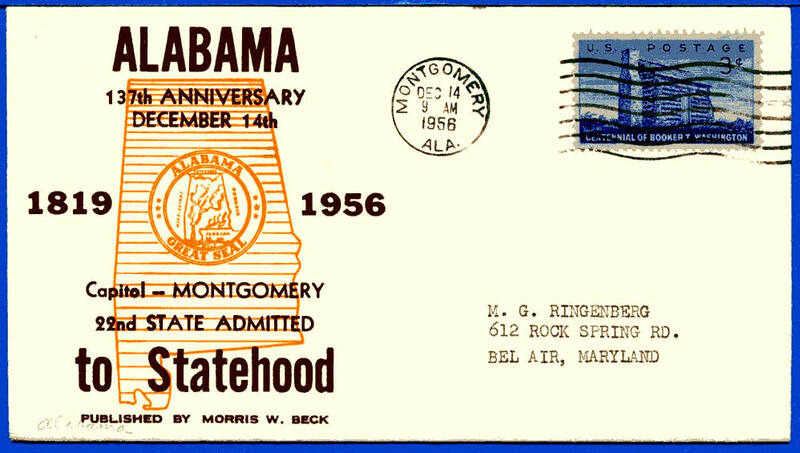 This single 1961 Alabama cover is similar to the State series. Larry Johnson sent us this scan of a Beck States POSTCARD! 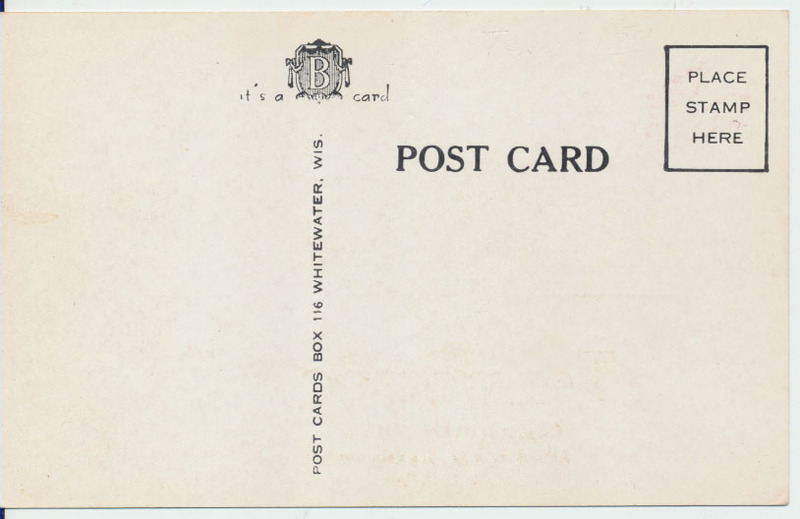 Note the wording and Beck logo on the reverse of the card.